915. a-krUraH - He Who was not cruel (while rescuing gajendra). SrI vAsishTha indicates that the root from which the nAma is derived is kRt - chedane - to cut, to divide. Application of the uNAdi sUtra 2.21- kRtecchaH krU ca - The affix rak comes after the root kRt -to cut, and in one case, the verb is itself replaced by krU, leading to krUraH - wicked, cruel. na krUraH a-krUraH - He Who is not cruel, is a-krUraH. The best example of His disposition to be `not cruel' is His treatment of rAvaNa during the battle with him. When rAvaNa was all but defeated, and could have been finished with one more arrow, rAgahvan just told rAvaNa to go back to his home, rest and recuperate, and then come back refreshed the next day to continue the battle. Given the nature of the sin that rAvaNa had committed, the strength of the enemy, and the deceitful means that he employed in the battle, none but the kindest at heart would give `time to recuperate' for the enemy. "MadhusUdana, the Lord of inscrutable nature, quickly took out not only the elephant which had been seized by the crocodile, but lifted the crocodile also from the waters of the pond". avApta samasta kAmatvAt kAma abhAvAdeva kopa abhAvaH, tasmAt krauryam asya na asti it a-krUraH. SrI rAdhAkRshNa SAstri notes that in the hiraNyakaSipu episode, because the anger that bhagavAn had while slaying hiraNyakaSipu was `made up' anger and not natural, the moment the Lord saw prahlAda, His disposition immediately changed to one of love from anger. Thus, by nature, bhagavAn is a-krUraH. SrI baladeva vidyA bhUshaN adds another incident to illustrate that bhagavAn is, by nature, forgiving. He relates the durvAsa episode in the forest-life of pANDava-s, where the sage harassed the pANDava- s on behalf of duryodhana by demanding feast for a large battalion of his disciples after draupadi had washed her `akshaya-pAtra' for the day. In spite of this harassment to His dear devotees, Lord kRshNa did not harm him because, by His nature, He is akrUra - pANDava kleSa kArakam durvAsasam na kRtavAn iti a-krUraH. a) He Who is charming. b) One Who is supremely soft. SrI vAsishTha indicates the root for the nAma as piS - avayave, dIpanAyAm ca - to form, to kindle, to light, and the application of the uNAdi sUtra 1.106 - that adds the affix kala (ala) after the root. a) SrI BhaTTar explains the nAma as One Who was charming at the time of gajendra moksha, even with all His ornaments in chaotic condition because of the hurry in which He left SrI vaikunTham to help gajendra - sambhramAt ayathAyatha srag-bhUshAmbara ramaNIyaH - peSalaH. "To the elephant gajendra, that got into the trap of a crocodile while plucking a flower in the lotus-pond, our Lord kRshNa, with His dark hue reminiscent of the cloud, flew in a great haste displaying His condescending simplicity and grace". What is the connection between bhagavAn protecting gajendra, and His charming appearance (peSalaH)? SrI kRshNan has a few anubhavam-s on this. BhagavAn's beautiful appearance is a result of His feeling of happiness at having protected His devotee who was in distress. Or, His ornaments, dress etc., were very disorganized since He was in a hurry, and this itself was beautiful on Him - since the ornaments get their beauty by being associated with Him, and not the other way. SrI Sa'nkara's interpretation is that this nAma of bhagavAn indicates that He is handsome - peSalaH, because His deeds, mind, words, and body are all beautiful - karmaNA, manasA, vAcA, vapushA ca SobhanatvAt peSalaH. b) SrI rAdhAkRshNa SAstri comments that the nAma indicates "One with a soft heart, like a flower". He is One who is full of kindness and compassion, and this reflects in all His thoughts, words and deeds. SrI cimayAnanda comments: "In His Infinite kindness and Mercy, His Heart-divine is ever flowing out in love and tenderness towards His devotees when they call out for help ardently and lift themselves from their body-consciousness and egocentric life of sense-pursuits". SrI vAsishTha uses the meaning `piS - avayave - to form', and interprets the nAma as signifying that bhagavAn is One Who has formed or separated every major form in His creation (such as our human body) into its several parts - pimSati - avayavam karoti it peSalaH. He also gives examples of the nakshatra maNDalam being separated into individual stars, time being separated into its subdivisions, etc. SrI satya sandha tIrtha gives an alternate interpretation by looking at the nAma as pa + Isa + la: ISam = rudram, lAti = bhaktatvena gRhNAti, iti ISA-laH; pAti iti paH; paSca asau ISalaSca iti peSalaH - He Who has rudra who is devoted to Him, and He Who protects him, is pESalaH. a) He Who removes evil elements very quickly (daksh – SIghrArthe). b1) He Who came to the rescue of gajendra very fast (daksh – SIghrArthe). c) He Who grows into, or manifests Himself as, the Universe (daksh – to grow). d) He Who is deft in His creation, sustenance and destruction (daksha – dexterous). e) He Who destroys His enemies (daksh – himsanayoH). We studied this nAma earlier in Slokam 45 (nAma 424). SrI vAsishTha derives the nAma from the root daksh – vRddhau SIghrArthe ca – to grow, to go in speed. The amara koSa vyAkhyAnam is “kAryam SIghram karoti iti dakshaH”. The different meanings for the word ‘daksha’ are given by SrI vAsishTha – pravRddhaH, SaktaH, SIghrakArI ca – One Who is grown(SrI Sa’nkara uses this meaning and interprets the nAma as “One Who has manifested Himself in the form of the Universe” – see below), One Who is skilled, and One Who is fast. The root daksh has also another meaning – gati himsanayoSca – to go, to hurt. The different interpretations are based on these different meanings for the word ‘daksha’. a) SrI BhaTTar explains nAma 424 in terms of the kalki incarnation, and how bhagavAn will get rid of the evil elements very quickly in this incarnation (dasyu-vadhe dakshate – SIghra-kArI iti dakshaH). One of SrI Sa’nkara’s interpretations for the instance of the nAma in Slokam 45 is - sarva karmANi kshipram karoti vA dakshaH - He Who performs all actions fast. The term ‘sankalapa mAtreNa’ is used extensively in describing this guNa of bhagavAn – All He has to do is to ‘will’, and the action will be done. b) For the current instance of the nAma, SrI BhaTTar gives the interpretation – kshipram AgantA dakshaH. This has been interpreted (translated) as “One Who came swiftly when called for by gajendra” by most translators, based on ‘daksh – SIghra-kArI’. SrI baladeva vidyA bhUshaN also gives his interpretation in terms of bhagavAn’s speed in responding when He is meditated upon – smRta mAtraH tvarayA gatavAn iti dakshaH. SrI kRshNa datta bhAradvAj also echoes the idea of the speed with which bhagavAn rushes to the protection of His devotee – dakshate = SighratAm kurute svajana avane iti dakshaH. Given that SrI BhaTTar’s bhAshyam for nAma 913 – SiSiraH, has already been interpreted as referring to bhagavAn’s speed in arriving at the scene where gajendra had called for help in pain, the above interpretation is redundant, and thus, is not the best interpretation for this instance in the writer’s opinion. It is to be noted that this is not punar-ukti dosham (fault of repetition) in the strict sense of the term , since different words (nAma-s) have been used by Sage vyAsa. This point is made by SrI Sa’nkara in his vyAkhyAnam for the next nAma, dakshiNaH, where he interprets the nAma ‘dakshiNaH’as having the same meaning as the current nAma – dakshaH. While the redundancy is thus not a case of punar-ukti dosham in the strict sense of the term, a better interpretation is provided by SrImad SrImushNam ANDavan, that removes this redundancy. He ‘translates’ SrI BhaTTar’s vyAkhyAnam for the current nAma as “One Who is skilled and has the power to arrive very fast”, based on ‘daksha – sAmarthya SAli or Sakti-SAli’. This point is discussed in detail near the end of the write-up for the current nAma. c) For the instance of the nAm in Slokam 45, using the meaning ‘daksh – to grow’, SrI Sa’nkara gives another interpretation – jagad-rUpeNa vardhamAnatvAt dakshaH - He Who grows into, or manifests Himself as, the Universe. SighrakArI ca dakshaH | trayam caitat parasmin niyatiam iti dakshaH. SrI rAdhAkRshNa SAstri explains that He is deft in creation, and this is indicated by this nAma. SrI cinmayAnanda explains: “One Who undertakes creation, sustenance, and destruction of the whole Cosmos with ease and efficiency, diligence, and promptitude”. e) One of the alternate interpretations of SrI satya sandha tIrtha is: SatrUNAm hantA dakshaH – He Who destroys His enemies. This uses the meaning – daksh – himsanayoH – to hurt. - SiSiraH – Arta-Sabda SravaNantaram ati-tvarayA gataH SiSiraH (SASa – pluta gatau; sAnnidhyam kalpayAmAsa tasmin saarasi)). - dakshaH – kshipram AgantA dakshaH. though this is not punar-ukti dosham in the strict definition of this term, since different nAma-s are involved in describing the same incident. (See SrI Sa’nkara’s commentary for the next nAma, where he makes this point). SrImad SrImushNam ANDavan gives explains SrI BhaTTar’s vyAkhyAnam for the current nAma that eliminates this repetition, and thus, is a more elegant explanation of SrI BhaTTar’s vyAkhyAnam for this nAma. For the nAma SiSiraH, SrImad ANDavan gives the explanation of SrI BhaTTar’s vyAkhyAnam as a reference to “One Who came fast to the scene where gajendra had been seized by the crocodile”. But for the nAma ‘dakshaH’ (nAma 917), SrImad ANDavan explains SrI BhaTTar’s words “kshipram AgatA dakshaH”, as “One Who has the sAmarthyam as evidenced by His arriving at the scene very fast. (sAmarthyam = power, force, capacity, ability, strength – SrI Apte’s dictionary). Note that one of the meanings for the word ‘daksha’ is ‘dexterous, skilled’. Also, recall SrI vAsishTha’s words giving the different meanings for the word ‘daksha’ – SaktaH, Sighra-kArI ca – One Who has the power (SaktaH), or One Who achieves things fast (Sighra-kArI). Thus, SrImad ANDavan explains SrI BhaTTar’s vyAkhyAnam for ‘SiSiraH’ (nAma 913) in terms of bhagavAn being “SIghra-kArI”, and for “dakshaH” (nAma 917) in terms of bhagavAn being a “Sakti-SAli”. Thus the redundancy in the interpretation of SrI BhaTTar’s vyAkhyAnam does not exist any more. One could argue, mistakenly, that there is still redundancy in the interpretation of the nAma 425 (dakshaH), and the nAma SiSiraH (nAma 913), since both refer to His speed. But there is no redundancy in fact, since, for nAma 425, SrI BhaTTar refers to bhagavAn’s speed in getting rid of the evil people in His kalki incarnation, and for nAma 913, he is referring to BhagavAn’s speed in responding to the cry for help from a devotee. These are subtle points that may be of interest to some readers. - SiSiraH – (based on “The cool season”) - tApa-traya abhitaptAnAm viSrama sthAnatvAt SiSiraH – He Who removes the torments arising from physical, mental and supernatural causes. - dakshaH - pravRddaH, SaktaH, SIghra-kArI ca – He Who is endowed with the qualities of immensity, strength, and quick execution. a) He Who is pleasing and amiable. b) He Who pervades everywhere. c) He Who destroys everything (at the time of pralaya). d) He Who is very liberal, charitable, and kind. The root from which the nAma is derived is the same as for the previous nAma - daksh - vRddhau, SIghrArthe - to grow or act quickly. The application of the uNAdi sUtra 2.50 -dru dakshibhyAm inan, results in addition of the affix inan to the root daksh, leading to the word dakshiNa. The siddhAnta kaumudI gives the following meanings for the word dakshiNaH - dakshate vardhate SIghrakArI bhavati vA sa dakshiNaH; saralo vAmabhAgaH paratantro'nuvartanam (right, honest, courteous, submissive). As explained above, the term `dakshiNa' has the same meaning as the term `daksha' - "dexterous, skillful, one who arrives fast, one who accomplishes things fast', etc., but additionally, it means `pleasing, amiable, courteous, civil', etc. (SrI Apte's dictionary). Thus, the word `dakshiNa' means `One who is fast, One who destroys, One who is courteous, One who grows His devotees, One who is compassionate', etc. "The Lotus-eyed Slayer of madhu, Who is kind and affectionate to those who have surrendered to Him, showed His love to gajendra, who worshipped Him". SrImad SrImushNam ANDavan explains the nAma as referring to His dAkshiNyam - politeness, civility, courtesy. For sarveSvaran to express regret to a mere animal, is a clear expression of His guNa of sauSIlyam. SrI kRshNan graphically describes that bhagavAn knelt at the feet of the elephant, checked for the injuries, took out His uttarIyam - the vastram at the top of His divya tirumEni, blew at it to get some heat, and then applied the heat to the elephant's leg to give comfort to the elephant's wound. In addition, He expressed regret for not having come earlier. This nAma thus illustrates that bhagavAn is SaraNAgata-vatsalan - One Who is dearly attached to those who surrender to Him. The word `sAntvanam' that has been used by SrI BhaTTar in his vyAkhyAnam means `consolation, pacification'. SrI kRshNan refers to another instance where bhagavAn felt `regret at having been late' - in helping the devotee who surrendered to Him' and expressed words of consolation - `sAntvanam'. This was in the case of vibhIshaNa SaraNAgati. `vacasA sAntvayitvainam locanAbhyAm pibanniva" - yuddha kANDam 19.7 - ""Lord rAma uttered words of consolation to vibhIshaNa, and blessed him with His kaTAksham, as if He drank vibhIshaNa through His eyes". b) c) SrI Sa'nkara comments that the meaning for the previous nAma and the current one are same, and notes that there is no punarukti by Sage vyAsa because different words have been used to describe this guNa of bhagavAn - dakashiNa SabdasyApi daksha eva arthaH; Sabda bhedAt na paunaruktyam. However, he proceeds then to give an alternate interpretation based on the root daksh - gati himsanayoH - to go or to kill - athavA, gacchati hinasti iti vA dakshaH - He Who goes or He Who kills is dakshiNaH. This is translated by SrI T. S. Krishnamoorthy as "One Who pervades everywhere", or as "One Who destroys everything" (e.g., at the time of pralaya - the function of samhAra). Using the meaning `to kill' or `destroy' for the root daksh, SrI baladeva vidyA bhUshaN gives the example of Lord kRshNa destroying or preventing the rise of duryodhana - damSati duryodhana udyamam iti dakshiNaH. d) SrI cinmayAnanda interprets the nAma in terms of dAkshiNya (liberal-hearted) - the opposite of selfishness and attachment to wealth that one possesses. He sums up the meaning of the nAma as "One Who has Infinite Kindness and Charity towards all good people and One Who is thus ever ready to liberally give away His endless Benevolence". He gives the example of the offering of `dakshiNA" to the priests after a ritual as their fee - this should be given in a spirit of large-hearted, liberal charity. Recall the nAma svasti- dakshiNaH (nAma 905 in Slokam 96), which is interpreted along these lines. SrI vAsishTha comments that bhagavAn is One Who arrives fast if one calls to Him for help, and is pleasant once He arrives - kshipram Agacchati AhUta, Agatya ca santushTo mukta-hastam dadAti iti udAraH sa dakshiNa ucyate. e) SrI kRshNa datta bhAradvAj uses the meaning - daksh -vardhate - to grow, and interprets the nAma as - dakshayati vardhayati svajanAn iti dakshNaH - He Who grows His devotees is dakshiNaH. f) An alternate interpretation by SrI bhAradvAj is - ata eva viSvara'nge udAratamo nAyakaH - BhagavAn is the most compassionate Lord of all. The amara describes `dakshiNa' as `sarala, udArau ca' - honest, sincere, generous, compassionate'. (amara. 3.1.8). a) The foremost in bearing the burden of protection of His devotees. b) The Foremost among those who bear the burden of the Universes. The root of interest for the nAma is ksham - sahane - to allow, to suffer. vara is derived from vRN - varaNe - to choose. `kshamiNAm varaH' refers to "One Who is superior among those who are endowed with patience or endurance". .
SrI vAsishTha explains the nAma as "sahana SilAyAm, kshmAvatAm madhye varaH = SreshTha ityarthaH", which has the above meaning. SrI Apte has listed the meanings `able, competent' for the word `kshama' in addition to `forbearance, patience'. The interpretations below use both these meanings. The nAma has been translated as "One Who is the best among those who have endurance", by most of the translators of SrI BhaTTar's vyAkhyAnam. However, the significance of SrI BhaTTar's vyAkhyAnam does not seem to be expressed well enough with this translation. Sri BhaTTar's words are - tad-darSanena dhRtAtmA; abhavat tatra deveSaH - It was only after seeing gajendra safe that He felt relieved; The Lord of all gods stood as though revived (after seeing gajendra safe)". This signifies that bhagavAn was throbbing with anxiety on behalf of His devotee and patiently putting up with this anxiety for the short duration between gajendra's call and His protecting gajendra. His desire to protect His devotee is so extreme and intense, that normally for Him to patiently wait till He comes to the scene of the incident was unimaginable. It is this extreme concern of bhagavAn - the intensity with which He is committed to the protection of His devotees, that is to be enjoyed here. It is the seriousness with which He takes His commitment to protect His devotee, and His anxiety at the smallest delay in protecting the devotee, that is enjoyed by Sri BhaTTar through this nAma - "BhagavAn is the Foremost in bearing the burden of protection of His devotee - kshamiNAm varaH". SrI kRshNan emphasizes this point, and refers to another incident where the Lord was throbbing with anxiety for the welfare of His devotee - when sugrIva suddenly rushed to rAvaNa and fought a duel with him, and brought the ten crowns of his ten heads. Lord rAma tells sugrIva after his return that He was very concerned about sugrIva's safety during that time, and added that for Him, sugrIva's safety was more important than even lakshmaNa or sItA pirATTi's welfare. Such is the intensity with which He bears the responsibility for the protection of His devotee. Of course, other anubhavam-s are possible for the nAma in the context of gajendra moksham, and some of these are given by some of the interpreters of SrI BhaTTar's bhAshyam. The most common among these is that bhagavAn did not lose His composure once He arrived at the scene of gajendra being caught by the crocodile (SrI M. V. Ramanujacharya's explanation - "gajendraniak kaNDa piRagu, tam manattaip padaikkAmal niRuttinavar"). SrI v. n. vedAnta deSikan comments that this guNa of bhagavAn was evident only after He saw that the elephant was safe (until that time, His concern for the safety of His devotee was extreme. - kshamavatAm yoginAm iti kshamiNAm varaH. - He Who is foremost among those that bear all burdens such as that of the Earth etc. - pRthivyAdInAm bhAra dhArakANAm SreshTha iti kshamiNAm varaH. - kshamiNaH SaktAH, ayam tu sarva SaktimatvAt sakalAH kriyAH kartum kshamata iti vA kashmainAm varaH. He gives support from SrImad rAmAyaNam - kshamayA pRthivi samaH (1.1.18) - Lord rAma's ability to endure is described as equal to that of Mother Earth. SrI cinmayAnanda's anubhavam is that bhagavAn has this nAma indicating that He is the most patient when it comes to tolerating and forgiving the sins of the jIvas. His words are: "He exhibits supreme patience with the evil-minded, the tyrant, the foul and the fiendish. hiraNyAksha, hiraNyakaSipu, rAvaNa, and others of this type were given many fair opportunities to realize for themselves the folly of their baser attitudes and their immoral ways of life. It is only when no other method of treatment could cure them that the Lord destroyed them in His Infinite kindness" (they all reached parama padam as a result of having His darSanam!). 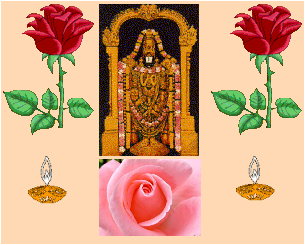 teshAm varaH uttama iti kshamiNAm varaH (SrI kRshNa datta bhAradvAj). One is reminded of the extent of sufferings that He subjected Himself to, during His rAma incarnation. The whole rAmAyaNa is a demonstration of His being kshamiNAm varaH, along with pirATTi, who is in all respects equal to Him. The incident of Sage bhRgu kicking bhagavAn in His vaksha sthalam, and the composed reaction of bhagavAn to this incident, is another example of His most superior kshamA or endurance and forbearance. - the magnanimity with which bhagavAn forgave Sage durvAsa for his ignoble act of harassing the pANDava-s on behalf of duryodhana during the vana vAsam of the pANDava-s. The kAkAsura incident, and sItA pirATTis' kind act of laying the evil asura such that his head was facing Lord rAma's Feet so that Lord rAma will forgive the asura, and bhagavAn's forgiving the asrua by just punishing him very mildly instead of killing him as he justly deserved, is an example that shows both bhagavAn and pirATTi rival each other in their kshamA, or willingness to forgive and put up with aparAdha-s of their children. nammAzhvAr repeatedly reminds us that none in all the Universes - not even the catur-mukha brahmA who is gifted with superior knowledge by bhagavAn Himself, will be able to describe bhagavAn's kalyANa guNa-s and do justice to even one of His guNa-s. We are seeing that His guNa as `kshamiNAm varaH' is just one example of the inability to describe the guNa - we just have to feel His guNa-s and enjoy them. The Best among those who know what to do. He Who is the best among those endowed with knowledge - the All-Knowing. He from Whom all knowledge originated, He Who gave the veda-s to the world, etc., is vidvat-tamaH. SrI BhaTTar interprets the nAma in terms of the gajendra moksham incident, and points out that the nAma reminds us that bhagavAn knew exactly how to administer treatment to gajendra as soon as He arrived at the scene - tac-cikitsAyAm vidvat-tamaH BhagavAn gently touched the elephant, and started speaking to the elephant comfortingly. Extreme devotion to bhagavAn is what caused gajendra to go to the pond to pluck the lotus flower for offering to Him in the first instance. Nothing was more important to gajendra than the darSanam of bhagavAn, and all his ailments were cured right away. (The beauty of the vyAkhyAnam of SrI BhaTTar, illustrating the extreme concern of bhagavAn to His devotees at every step, can only be felt, and cannot be described adequately through words. The current interpretation is one such example). SrImad SrImushNam ANDavan explains the nAma with the comment that bhagavAn is the `greatest Doctor there ever was and is, - the way He administered the most appropriate cikitasA or treatment to gajendra, (who had suffered for a thousand years in the clutch of the crocodile)'. BhagavAn knew precisely what would give gajendra the greatest comfort, and so He is called vidvat-tamaH in SrI BhaTTar's anubhavam. The Bliss of the touch by bhagavAn's hands eliminates all misery, and is like the herbs that can cure any ailment. His divine hands were the medicine for gajendra, and the heat from His beautiful red lips were the comfort that gajendra would do anything to have. SrI veLukkuDi kRshNan gives another analogous example, where pirATTi administers the cikitsA that is the most appropriate for the occasion. When rAma came back full of bleeding wounds after victoriously eliminating the rAkshasa khara and his army of 14,000 rAkshasa-s in janasthAnam, sItA pirATTi administered the best treatment for the occasion - she gave Him a very fond embrace. As Lakshmi, she is the embodiments of all cures, and thus, Her embrace was the best cure for rAma's wounds. and thus had fulfilled the cause of ensuring the safety of these sages". - He Who handled the surrender of gajendra in the most skillful manner. - bhagavAn is One Who knows how to remedy the bhakta's problems. nirastAtiSayam j~nAnam sarvadA sarva gocaram asya iti asti, na itareshAm iti vidvat-tamaH. All the rest possess but a tiny fraction of His knowledge. One Who knows everything there is to know ever since creation started, and prior to that, and for all future to come, and so He is vidvat-tamaH. This cannot be said of anyone else. This is how the veda-s praise Him. a) He because of Whom fear is dispelled. b) He Who is devoid of fear. vi = vishesheNa, itam = gatam, bhayam = bhItiH yasya it vIta-bayaH - One Who is totally devoid of fear. SrI BhaTTar, whose special emphasis is the guNanubhavam of bhagavAn as One Whose sole purpose in everything He does is to help His devotees, gives the anubhavam that He has this nAma since He drives away the fear in His devotees - vItam bhayam yasmAt sa vIta-bhayaH. The former interpretation is given by SrI Sa'nkara and others who follow his vyAkhyAnam, and the later interpretation is given by SrI BhaTTar and those that follow his lead. Seeing the ardent zeal of the Lord in coming to his help, the fear of gajendra vanished. Thus, bhagavAn has this nAma since He is "One Who dispelled the fear of gajendra through His arrival". SrI veLukkuDi kRshNan's anubhavam is that gajendra was afraid that the lotus flower that he was carrying for offering to the Lord might become old and lose its freshness, and this fear waqs gone as soon as gajendra noticed that bhagavAn had arrived. SrI v.v. rAmAnujan comments that gajendra had called for help from nArAyaNa, and was afraid that bhagavAn's guna of ASrita rakshaNam might be questioned by some if He did not come right away, and it was this fear that was removed as soon as bhagavAn arrived. SrI baladeva vidyAbhUshaN echoes the same thoughts as above - vItam = vinashTam gajendrasya grAhAt bhayam yena sa vIta-bhayaH - He Who relieved gajendra of the fear of being gripped by the crocodile, is vIta-bhayaH. b) SrI Sa'nkara gives the interpretation - vItam = vigatam, bhayam sAmsArikam samsAra lakshaNam vA asya iti vIta-bhayaH, sarveSvaratvAt nitya muktatvAt ca - He Who has no fear pertaining to, or accompanying, the transmigratory life; in addition, since He is the Lord of all, and ever free, He I without fear of any kind as well.. SrI rAdhAkRshNa SAstri comments that the worst of all fears is the fear of samsAra, or being born in this world; since bhagavAn is beyond this, He is Fearless, and beyond fear - vIta-bhayaH. SrI satya sandha tIrtha also gives the explanation along the same lines - bhaya SUnyaH vIta bhayaH - One Who is without fear. bhaktebhyo vItam = vigatam bhayam yasmAt saH vIta-bhayaH. He Whose nAma SrvaNam and kIrtanam are purifying. The nAma can be understood in terms of its three component words: puNya, SravaNa, and kIrtana. puNya here refers to `that which purifies' - pavate, pUyate vA anena iti puNyam. SravaNa refers to hearing from others, and kIrtana refers to our own chanting. The nAma says that bhagavAn's glory is such that by hearing it from others, or by singing His glory ourselves, we will be purified. puNyam = pavitrIkraraNam, nAmnAm SravaNam kIrtanam ca yasya sa puNya- SravaNa-kIrtanaH vishNuH. yasya vishNor-nAm nAm anyataH SravaNam, tathA sva-mukhata uccArya kIrtanam, ityubhayatA pavitrIkaraNam bhavati, sa etan-nAmnAm abhidhIyate. SrI BhaTTar continues his interpretation of the nAma as it relates to gajendra moksham, and explains the nAma as: "He by hearing whose gajendra moksham episode, or by narrating it ourselves, we get purified". This is one example of the purifying power of singing His glory or hearing His glory. "O the best of kuru-s! A person is immediately rid of his sins if he hears, thinks or talks about the story of the rescue of gajendra by the Lord". The Slokam is found in devanAgari lipi in prakRtam SrImad Azhagiya Si'nger's Ahnika grantham. The Slokam reminds us how bhagavAn rushed to the scene of gajendra's suffering, climbing on to garuDa's back in a big hurry, with disheveled ornaments because of the hurry, with the roaring sound of His arrival clearly noticeable, and with all His weapons ready for the protection of the devotee. The anusansdhAnam (thinking with the meaning in our mind) of this act of bhagavAn will protect all those who meditate on it, chant it, or hear it from others. SrI baladeva vidyA bhUshaN echoes the same anubhavam - pApahAri- gajendra-sambandhi-SravaNAditvAt puNya-SravaNa-kIrtanaH. SrI Sa'nkara gives the following interpretation- puNyam puNyakaram SravaNam kIrtanam ca asya iti puNya-SravaNa-kIrtanaH - He, whose names, heard and recited, lead to religious merit. "Nothing inauspicious or unwelcome will accrue either in this world or in the world beyond, to anyone who hears the vishNu sahasra nAma stotra daily, or who recites it daily". SrI cinmayAnanda comments that "kIrtana should not be just interpreted to mean mechanical repetition, but the serious student should reflect upon the glories of the Lord. We must learn to get ourselves committed to the life of God-centered activities. It is not to be a mere noisy chanting of hymns, a mere muttering of mantra- s. We must teach ourselves to allow Him to express through us. Our physical activities, mental feelings, and intellectual thoughts must all shine forth the awareness of His Divine Presence that is in us at every moment, everywhere. The life of such a devotee will itself become, in its dynamic beauty, love and devoted tenderness, a constant worship (poojA), a continuous (akhaNDa) hymn chanted (kIrtanA) in praise of the Lord-of-the-heart". The message should be self-explanatory. "Lord vishNu, whose nAma-s are purifying to those who hear them or chant them - this Lord vishNu with His infinite nAma-s (representing His infinite kalyANa guNa-s), purifies this whole Universe through His nAma-s".